In this homage to radio crime dramas like The Shadow, the mystical Dr. Mysterious easily outwits the bad guys using his amazing tricks of the mind. 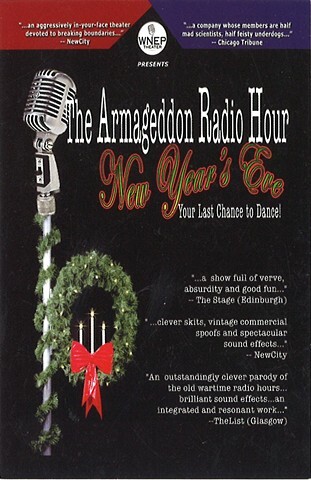 Postcard for "Armageddon Radio Hour New Years Eve" 2005. 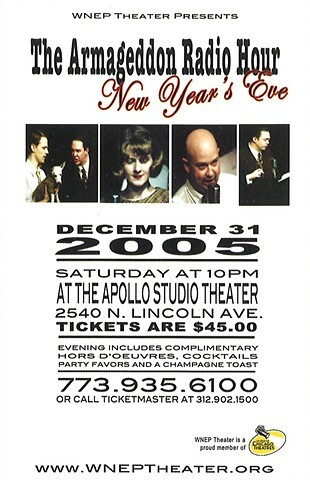 Poster for "Armageddon Radio Hour New Years Eve" 2005. 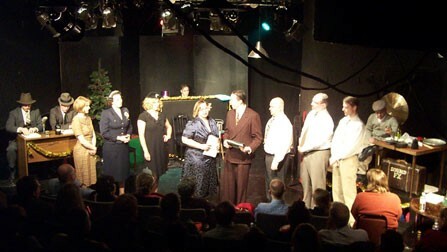 The cast of "Armageddon Radio Hour New Years Eve" 2005.